My taste and likes for dishes keeps changing. Kind of fickle minded about dishes that I really like. Yesterday I would have said some dish as my most favorite, but today I would call another as the best and tomorrow it would be something entirely different. Chaaa.. isn't that human tendency and right to like different things each day!! :) After all life gives million choices atleast when it comes to food and why not fall for all of them someday or the other!!! Dice carrot and beans into small cubes. Pressure cook the diced carrot, beans, potatoes and peas. Peel the cooked potatoes and mash them. Chop onions, capsicum and tomatoes finely. Grind green chillies, ginger and garlic together into a paste. Take a shallow pan and add the butter, once it melts season with cumin seeds. Now add chopped onions and fry till golden brown. Add the ground paste and fry for few mins. Mix finely chopped tomatoes and fry until they form a gravy. Now add the cooked vegetables, mashed potatoes, diced capsicum along with chilly powder, pav bhaji masala, turmeric powder, sugar and salt. Add enough water to make gravy and mix well. Allow it to boil for few mins. Cut the pav buns horizontally. Apply butter generously on top and inside the slit and roast on hot skillet until slightly brown. You can also add cooked cauliflower to the bhaji. You can use a masher or a laddle to mash the bhaji finely while it is getting cooked. I skipped this step since I like my bhaji a little chunky. Pav-bhaji masala powder is readily available in store under many brands like Everest etc. But if you dont find one, you can replace it with gharam masala. You can use this bhaji as a side dish for roti. Looks so tempting nithi.. absolutely yumm.. I can have whole thing now. Lovely clicks!!! I make them the same way too & yes they are super delicious!! 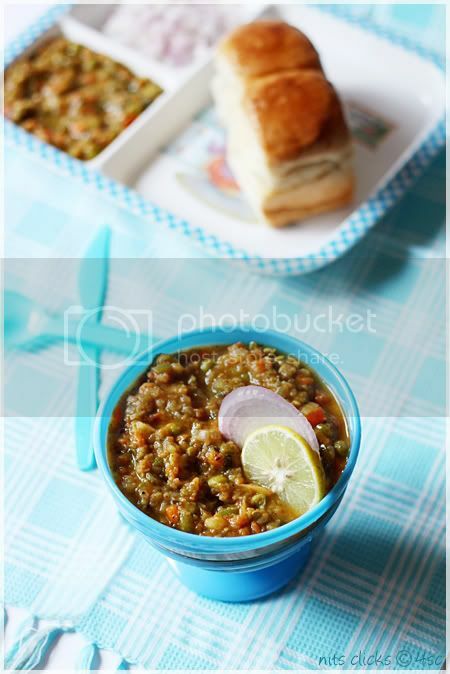 Now im craving for some pav bhaji!! Pav Bhaji looks so yummy and outstanding. Pics are heavenly. 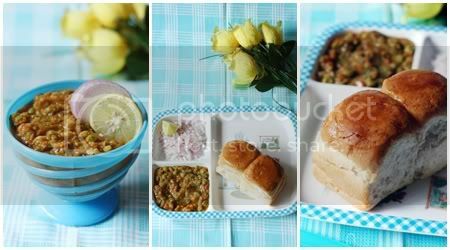 Its looks so tempting Nithi.I never tried pav bhaji before,I think I have to give a try.Added on my to do list;-).Beautiful click,love the colour a lot..
Wow tempting clicks,makes me hungry. Thats one super tempting spread. 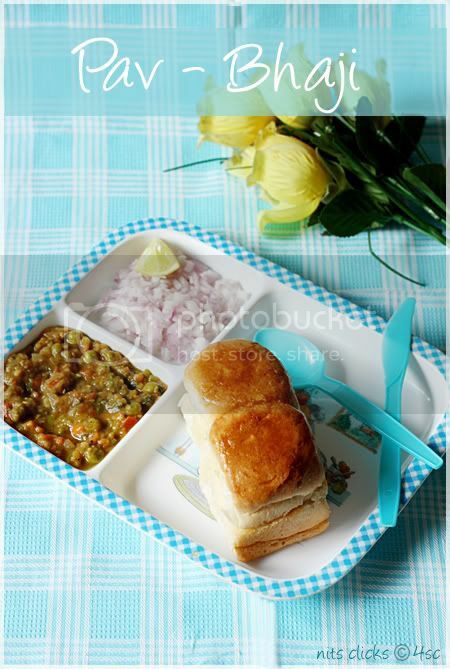 wow looks so tempting and delicious pav bhaji !! Delicious, just drooling over the pictures! 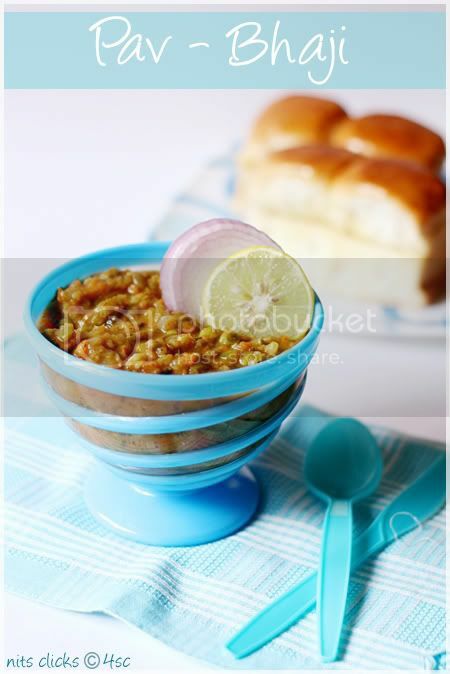 My fav anytime, am ready to finish those tempting bowl of pav bhaji..yumm! One of favorite chaat looks too good. Lovely pictures !! Pav Bhaji is sittng in my drafts since a week and after looking at your pictures, I suddenly get an inferiority complex! Love the whole blue setup. Awesome clicks as usual!!! Lovely clicks Nithya. Loved the little ring of onion and lemon...makes me drool...I prefer my bhaaji all mashed up...Great recipe..
presentation looks very cute dear. tempting n delicious pav bhaji!! nice bowl! lovely click as usual! I am a totally sucker for chats. 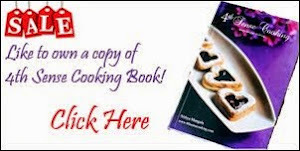 But this time, I didn't look at the recipe, I was ogling at your beautiful shots. Love it!! 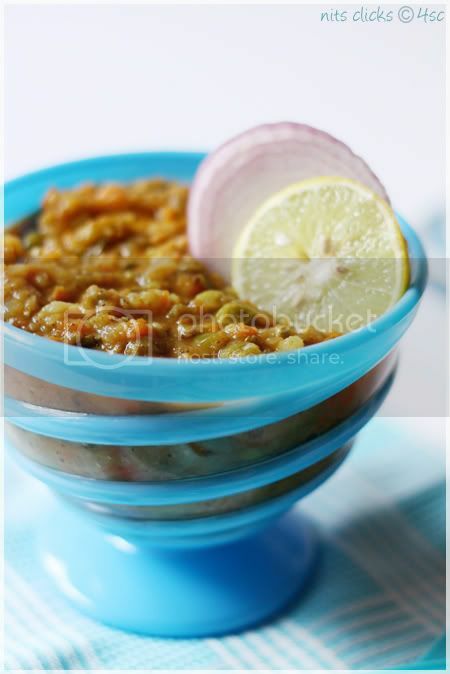 Pav bhaji looks delicious..all time fav..
Pne of my fav chaat. Looks beautiful and very tempting Nithya. Always love blue colour nithi! Nice ambiance in the pics :) If my kid sees this,he would love this,so cute presentation! Looks too good and yummy nitz... wish I am there to grab it.. wonderful job . Tooo tempting clicks Nits. I love this pav bhaji a lot. 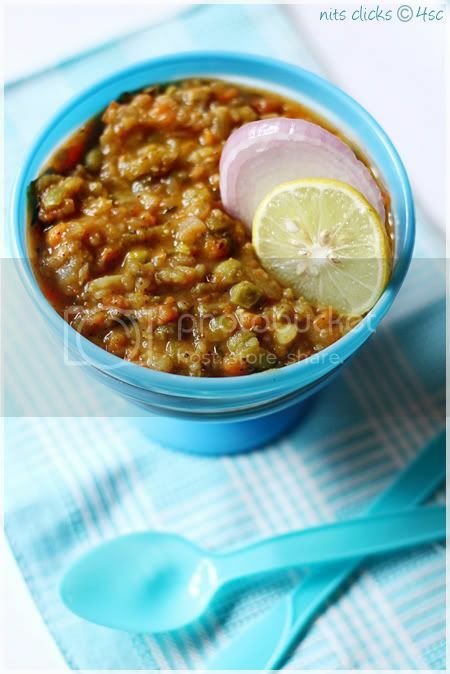 Like the blue elements you have used.Like the shallow DOF.Yummy pav bhaji..must have tasted great. Awesome clicks gal!!! looks so delicious..